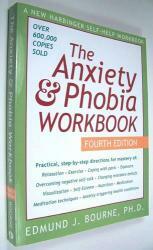 A MUST workbook for Therapists and School Counselors facilitating groups on Anxiety. Anxiety is a major mental health problem in the U.S., seriously affecting approximately 10 to 15 percent of the adult population. 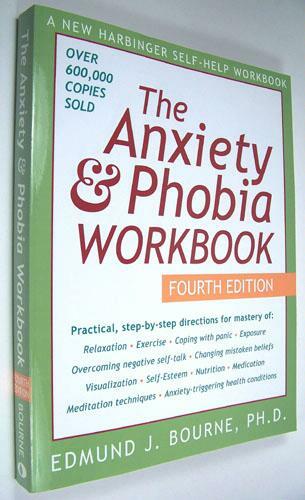 Completely updated, this new edition of The Anxiety and Phobia Workbook presents step-by-step guidelines, questionnaires, and exercises to help sufferers learn skills and make lifestyle changes to help them get relief from the most distressing symptoms. Expanded coverage of traditional and new medications, plus supplements and herbs such as kava, St. John's Wort, and SAM-e, and an updated list of resources and Web sites make this a major tool in anxiety recovery. 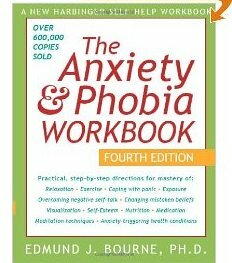 Widely recommended by therapists, this book, in a new edition, reflects all the latest developments in the field of anxiety treatment.